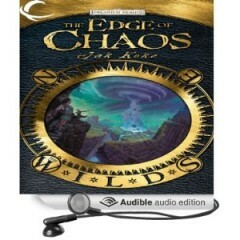 Today, The Edge of Chaos is available in audiobook format from Audible. This is cool. And it’s a first for me. I haven’t listened to it yet so cannot comment on the narration by Paul Neal Rohrer or the production quality, but it was produced by Audible’s own Audible Frontiers publisher division so I’m guessing it’s put together professionally. Since I am a huge fan of audiobooks, having one of my own books available in this format is just over the ‘awesomeness dialed to eleven’ line. When I wrote and revised and re-revised and copyedited and proofread The Edge of Chaos, you couldn’t have paid me to read the whole thing again—well actually you could, but it would’ve cost a lot. But that was years ago, and I’m not sick of it any more. I’m looking forward to listening to it. Karawynn and I are in Mexico for a month, undertaking an experiment wherein we gather data to determine if we can live here after Claire moves out in five years or so. 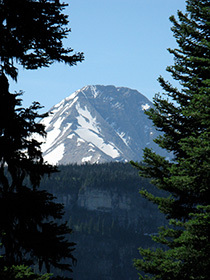 Karawynn discovered this particular place after detailed online research of a variety of expat communities that matched two main criteria: 1) good weather year round and 2) lower cost of living than in the United States. Thus we chose to visit the Ajijic Mexico area, along the north shore of Lake Chapala about 45 minutes by car from Guadalajara — the second largest citiy in Mexico. We’ve been here about a week and half now and here are my impressions so far. Look – Shiny New Site! Welcome to my brand-spanking new website. Isn’t it gorgeous? And slick? Yeah, I think so, too. How did this come to be? How did my simple little website transform into this aesthetic wonder and practical powerhouse?